The Ramnagar Fort is located near the Ganga River on its eastern bank, opposite to the Tulsi Ghat varanasi India. The sandstone structure was built in the Mughal style by Kashi Naresh Raja Balwant Singh in 1750. The current king and the resident of the fort is Anant Narayan Singh, who is also known as the Maharaja of Varanasi even though this royal title has been finished since 1971. The fort is built in creamy-coloured chunar sandstone. The Ramnagar fort has a temple and a museum within the grounds and the temple is dedicated to Ved Vyasa, who wrote Mahabharata, the great Indian epic. 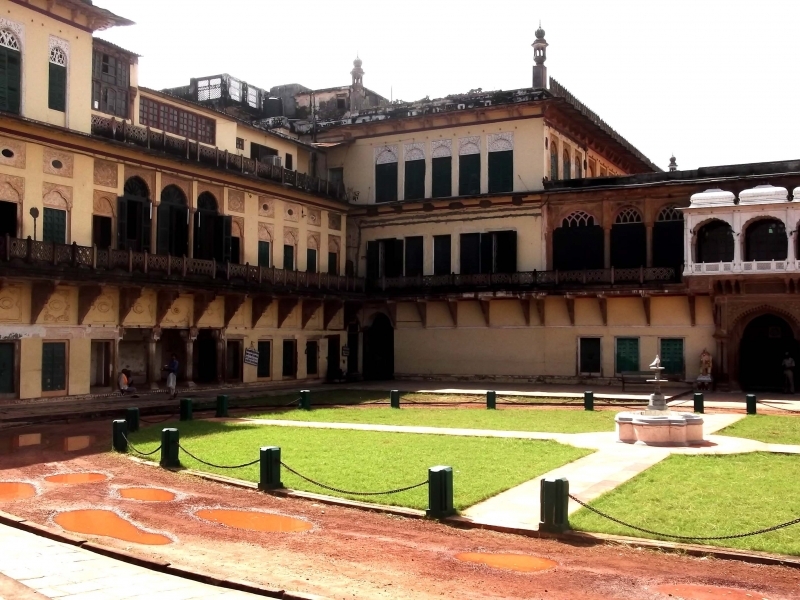 The Ramnagar fort houses a museum displaying the Royal collection which includes vintage Cars, Royal palkies, an armory of swords and old guns, ivory work and antique clocks. The Durga Temple and Chhinnamastika Temple are also Located at Ramnagar. A temple of Dakshin Mukhi Hanuman is there. Inside the giant walls of the Ramnagar fort-palace, there is a big clock. This clock not only displays year, month, week and day but also astronomical facts about the sun, moon and constellation of stars. An interesting array of ornate palanquins, gold-plated howdahs and weapons are some of the artifacts on display in the Ramnagar fort-palace museum. There is a minimum entry charge per person whether he is an adult (Rs.15) or child (Rs.10). Been to Ramnagar Fort ? Share your experiences!